Team 2015 TALLINN OPEN travelled to St-Petersburg for the always tough Sokolov tournament where we always return with more losses than wins. 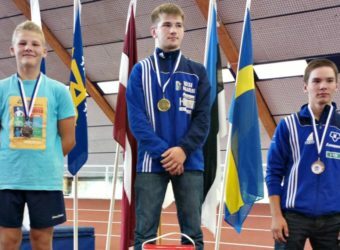 This time, it was close – an 8-9 record with Aho getting a silver and Uku a bronze. Here some of the team poses ewith new friends from Tajikistan! 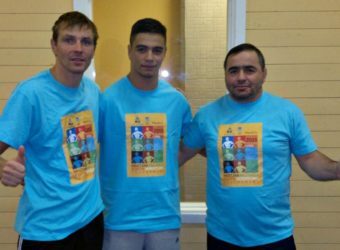 Team 2015 TALLINN OPEN attended 6-country Freestyle tournament in Jelgava Latvia 27-28 September and hauled in three medals. Well done boys! And thank-you for a wonderful reception! Team 2015 TALLINN OPEN returns from 7-nation Prague Open tournament (october 10-11) with a hard-fought gold and silver and great new friends! Thank-you Pavel! 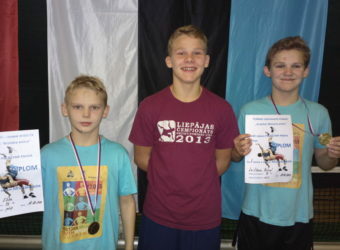 “Team 2015 TALLINN OPEN” brought home three golds! A happy „Team 2015 TALLINN OPEN“ at the 19. Internationaler Boddenpokal der Universität – und Hansestadt Greifswald on September 6, 2014. Brought home three golds! 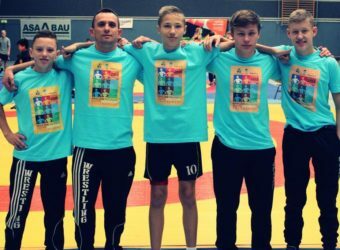 Marger Pormann of „Team 2015 TALLINN OPEN“ with new friends at 2014 Sparvägsspelen Wrestling Tournament in Stockholm 30-august 2014. „Team 2015 TALLINN OPEN“ won two silver and a gold. 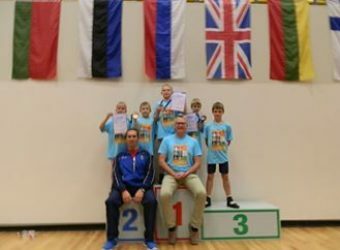 „Team 2015 TALLINN OPEN“ return from the Kalle Mäkisen tournament on 16-september, in Turu Finland with two silver and a gold. 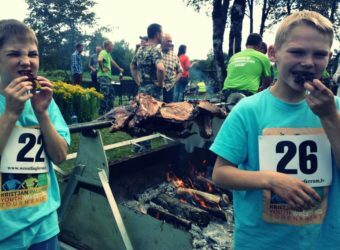 After a refreshing swim, Kristo and Ekke of „Team 2015 TALLINN OPEN“ enjoying marinated roasted wild boar, at Zaube-Latvia tournament 6-7 september 2014a.